SAN FRANCISCO (CN) – The Ninth Circuit said Friday that one of its own, retired Circuit Judge William A. Norris, died this past weekend. He was 89. Norris was nominated by President Jimmy Carter and began his service with the Ninth Circuit in 1980. He assumed senior status in 1994 before retiring from the bench in 1997. During his 17 years with the appellate court, Norris authored over 400 opinions, including Watkins v. United States Army – a seminal 1988 case which held Army regulations barring gays and lesbians from service were unconstitutional. After leaving the bench, Norris became a partner at Folger Levin & Kahn and then senior counsel at Akin Gump Strauss Hauer & Feld. He retired completely in 2014. Norris was born and raised in the small town of Turtle Creek, Pennsylvania. He served in the U.S. Navy after World War II and then enrolled at Princeton under the GI Bill. 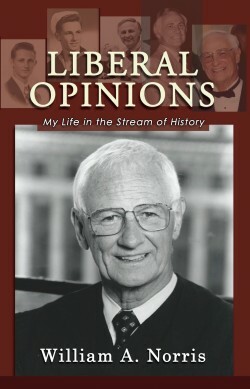 He got his law degree from Stanford Law School in 1954. After law school, Norris clerked for U.S. Supreme Court Justice William Douglas for a year, and then practiced law with the firm Tuttle and Taylor in Los Angeles. During that time he also served on the California Board of Education and the Los Angeles Police Commission. In 1974, he ran for state attorney general and won the Democratic primary, but was defeated by the Republican incumbent Evelle Younger. He recently completed an autobiography, “Liberal Opinions: My Life in the Stream of History,” which was published by Quid Pro Books in 2015. Norris is survived by his wife of 27 years, a son, three daughters, a stepson and two grandchildren.